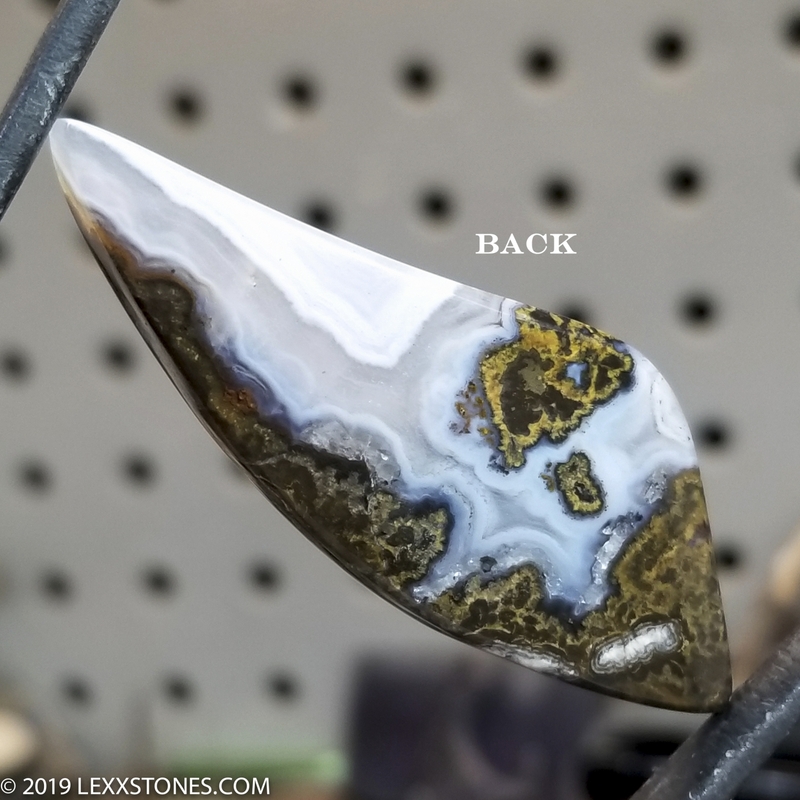 Here for your consideration is an original Lexx Stones "Lexxite" cabochon. This new, unique, gorgeous material was discovered by our good friend and partner Rodney Frisby. He named it after yours truly. 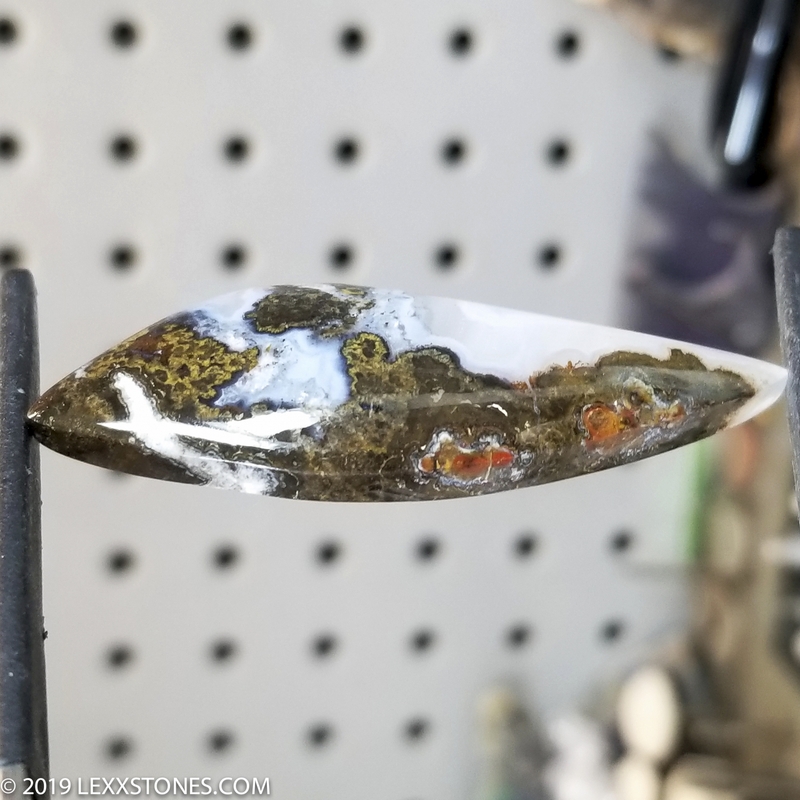 Lexxite comes to us directly from the Frisby claim in Arizona. This cab displays semi-translucent white crystal Quartz/Agate fortification with moss/plume inclusions. This sturdy cabochon is unheated, untreated and unstabilized. 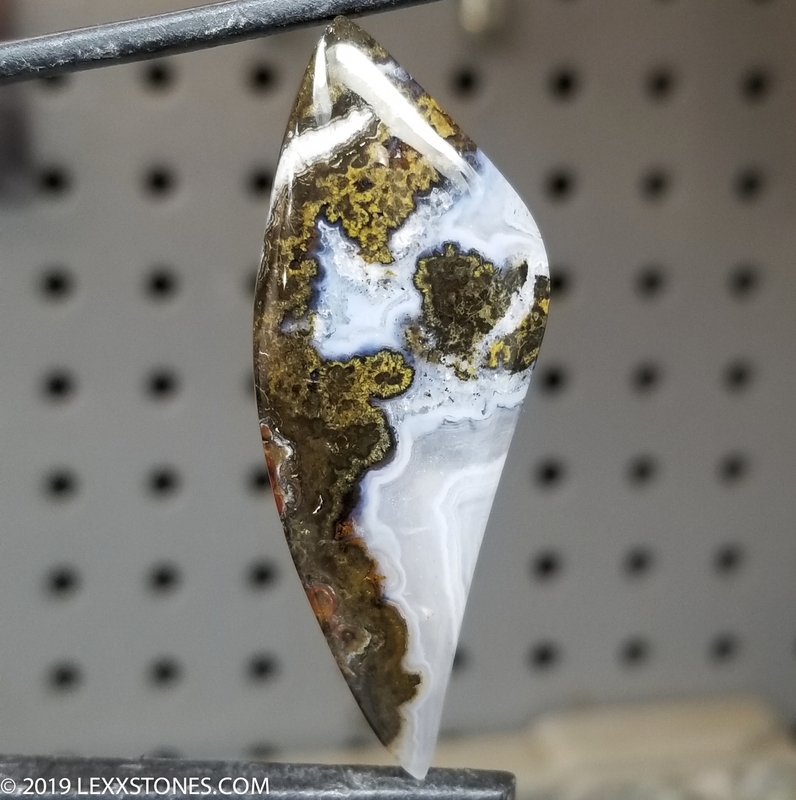 This original Lexxite cabochon will make wonderful focal piece in your next bezel set or wire wrap project. It is also quite the collectible as well! Use your imagination! Photographed dry under full spectrum LED's. Hand cut and polished by Lexx. Ships USPS First Class within 24 hours of prompt payment. Please inquire if you'd like Priority or additional insurance.Everywhere Else, Standard Shipping Fees Apply. Sales tax applies to New York State residents. International Buyers Will Be Responsible For All Additional Taxes, Duties, Insurance Incurred With This Sale.